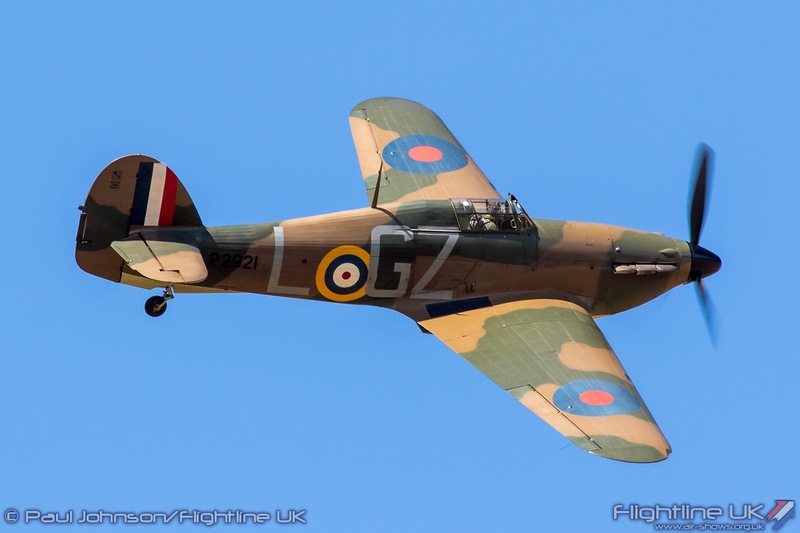 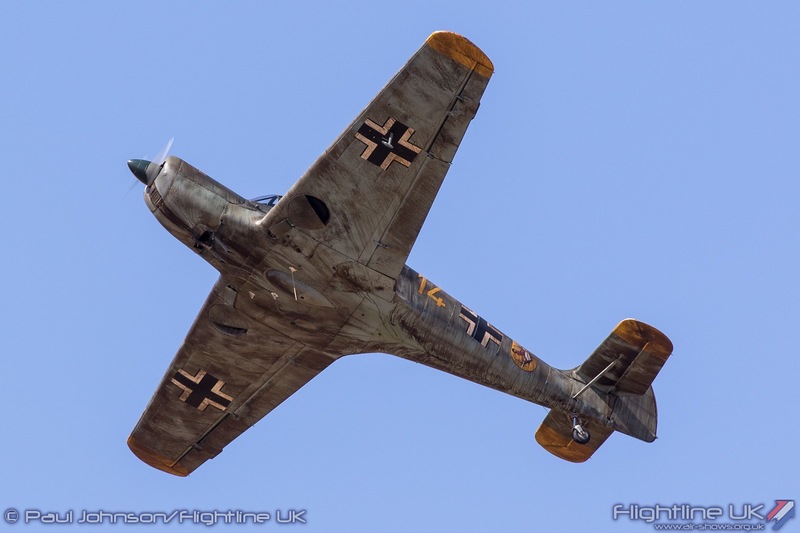 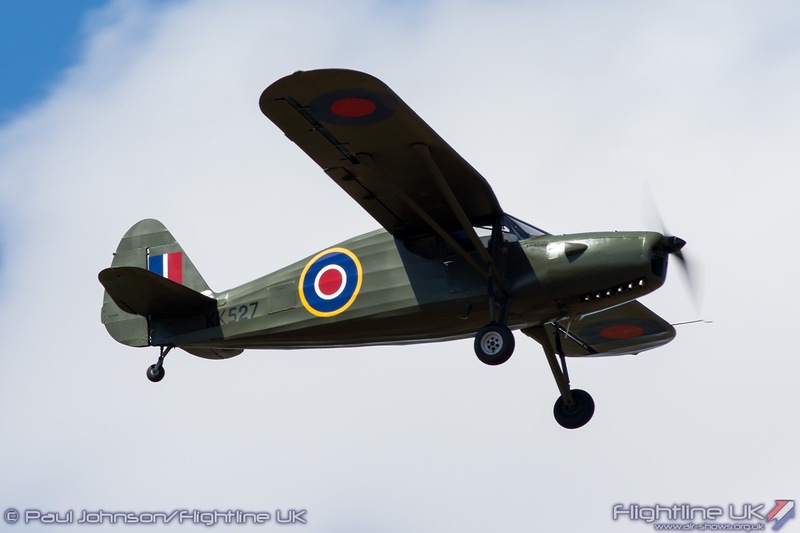 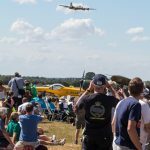 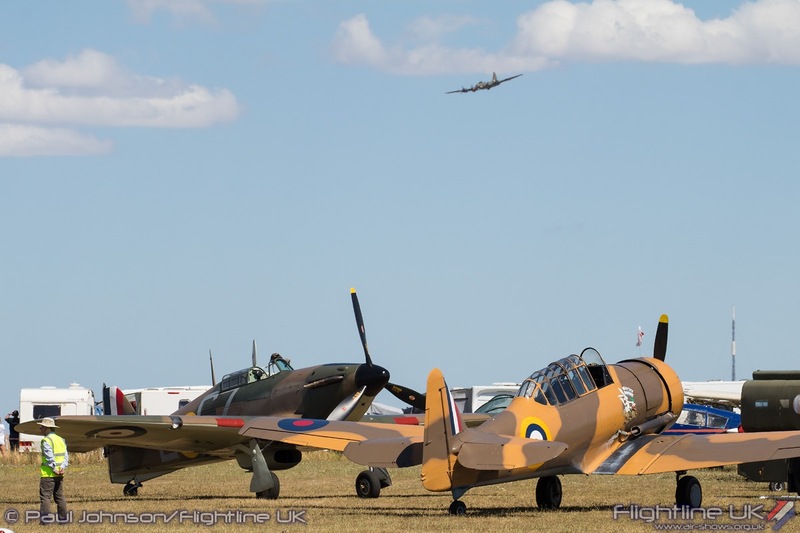 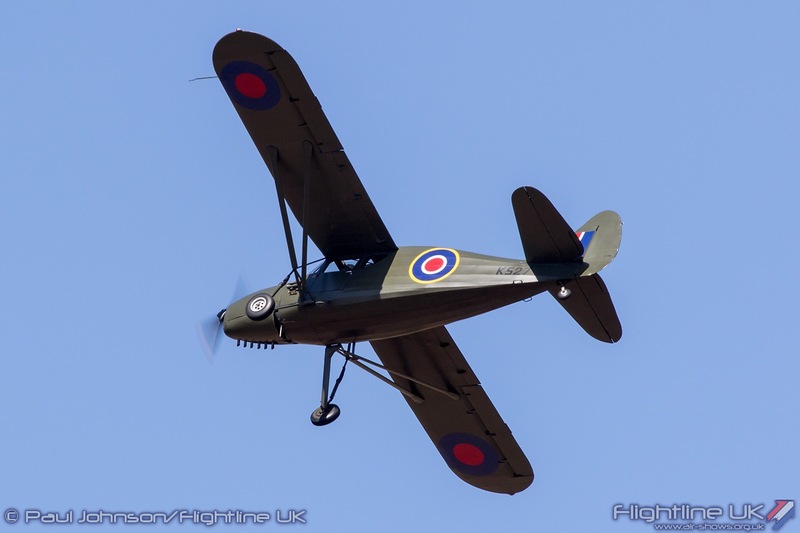 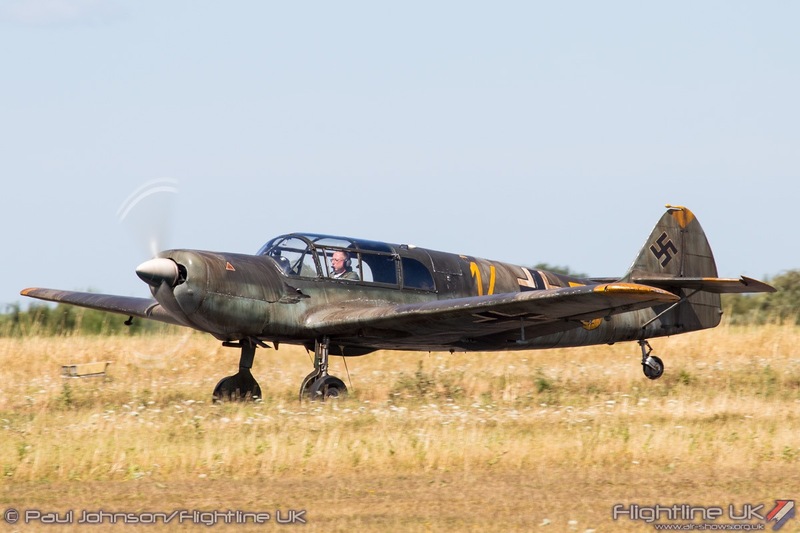 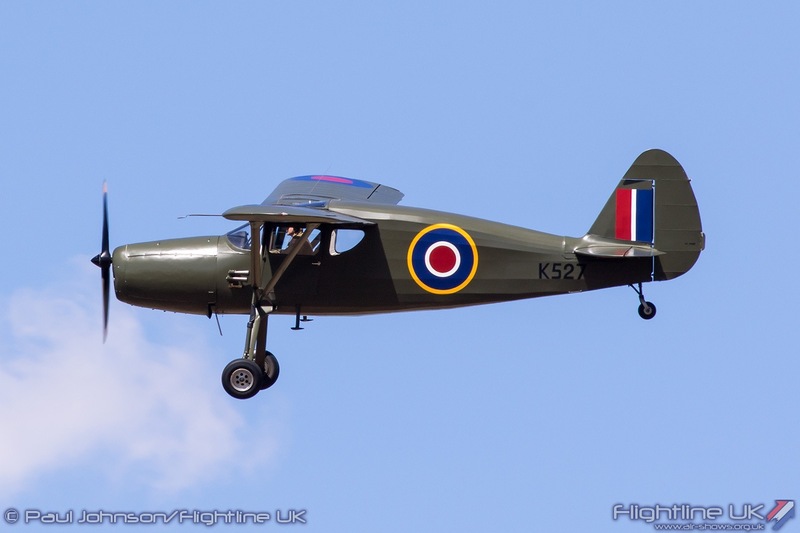 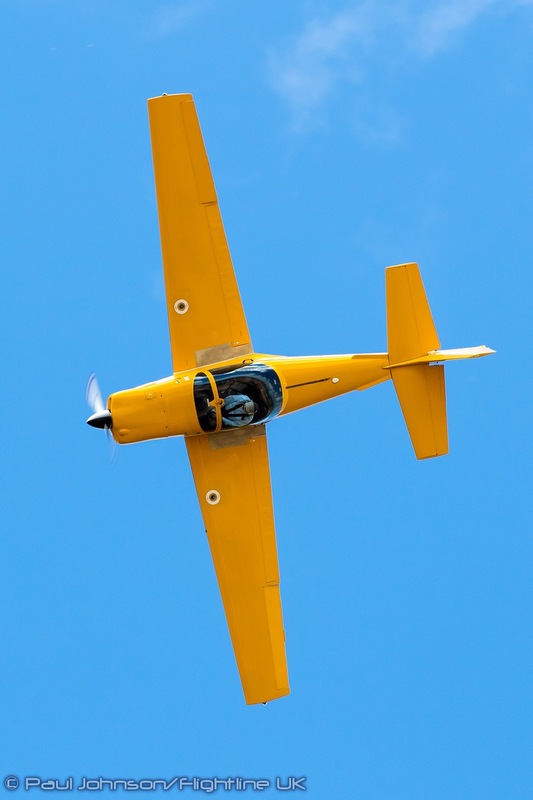 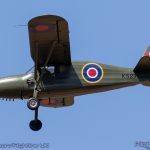 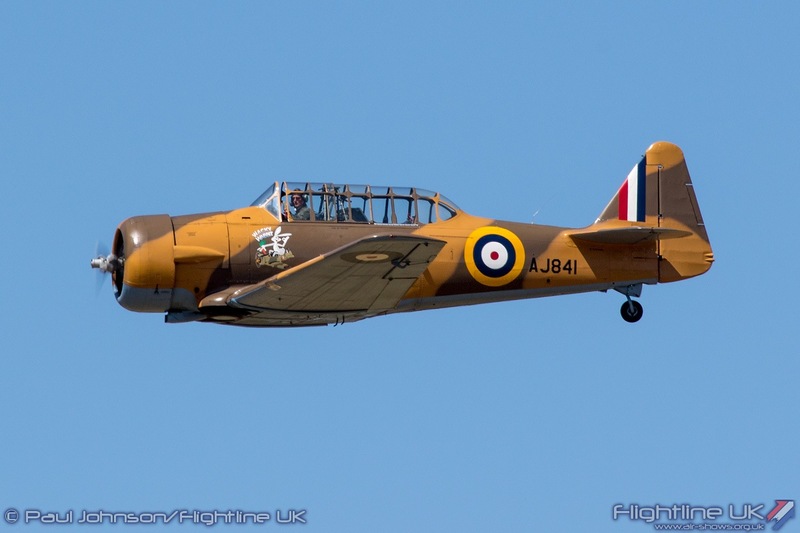 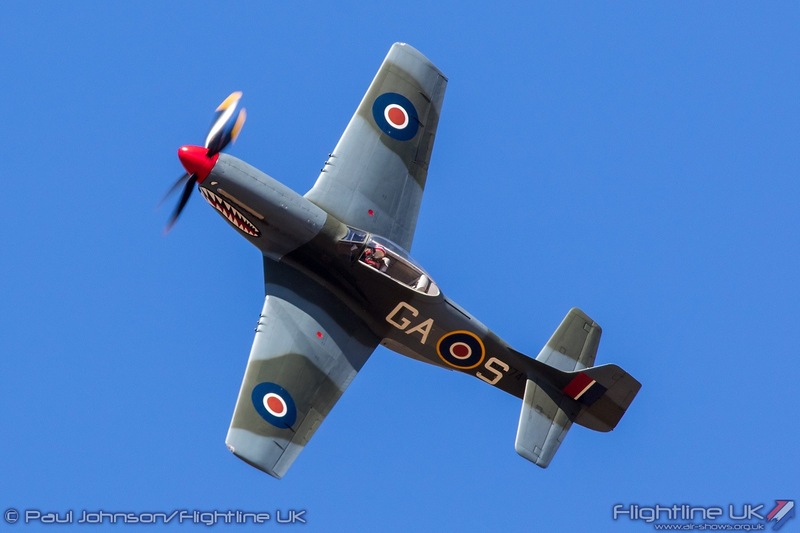 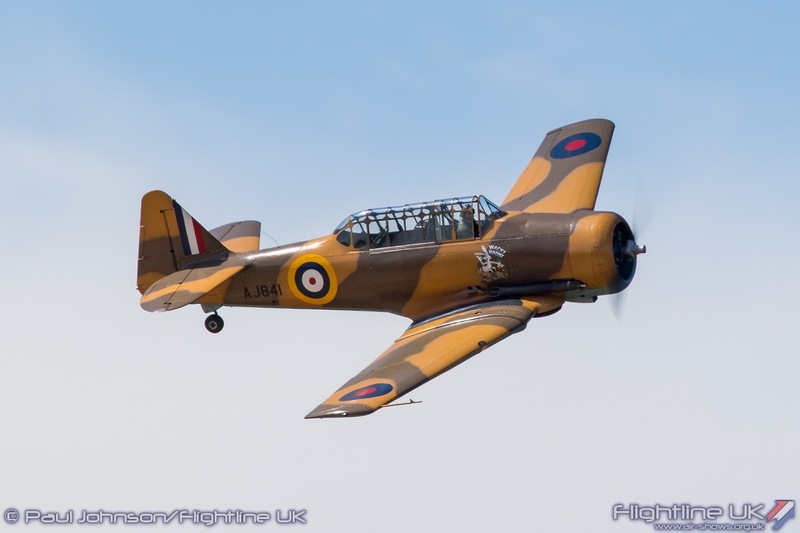 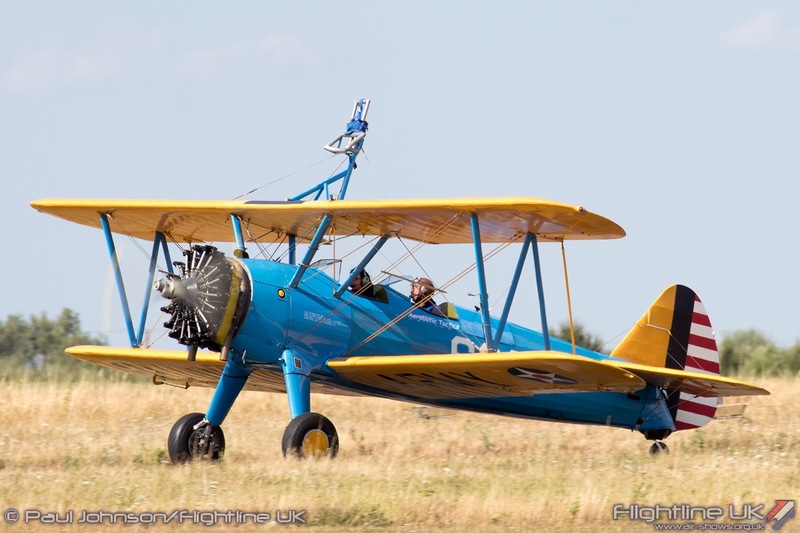 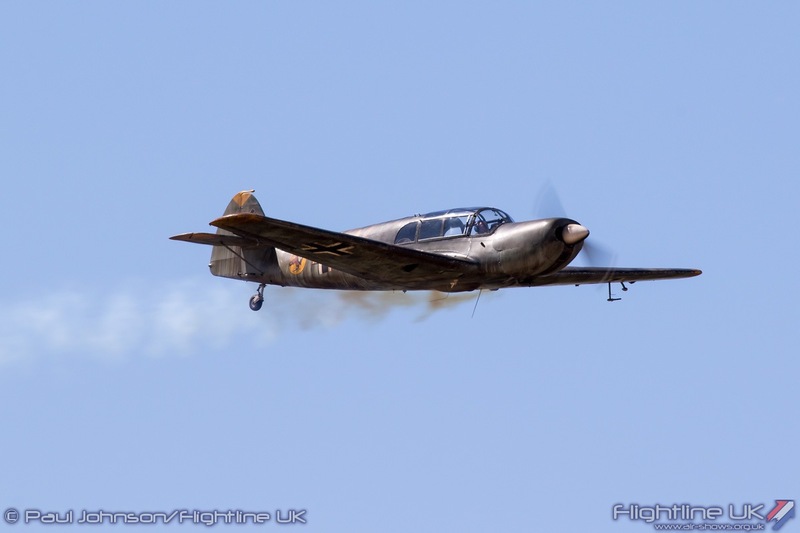 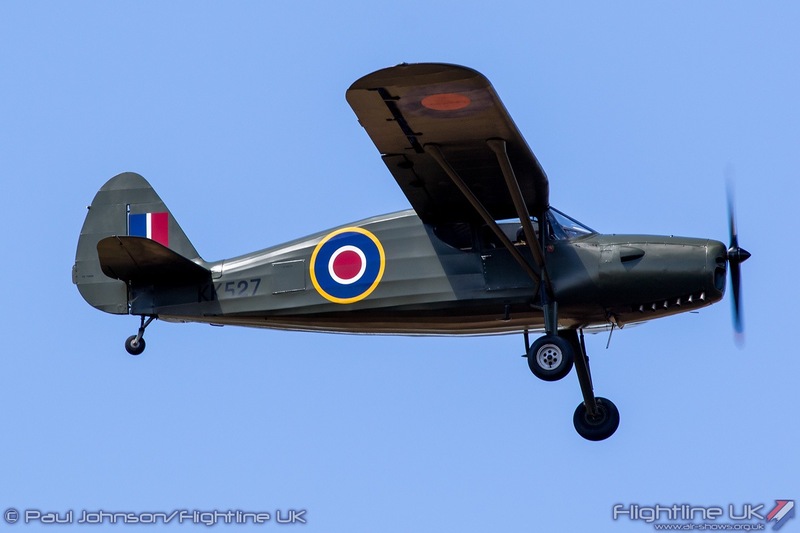 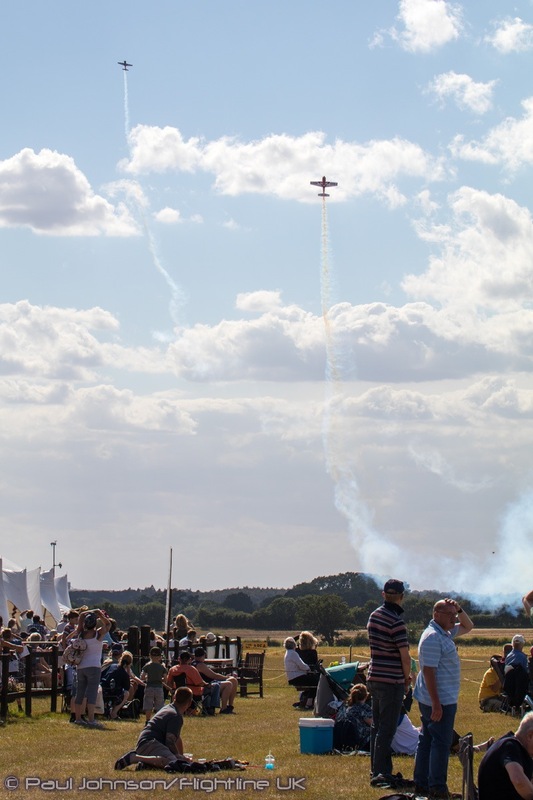 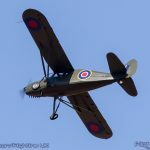 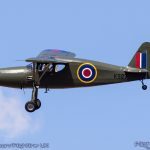 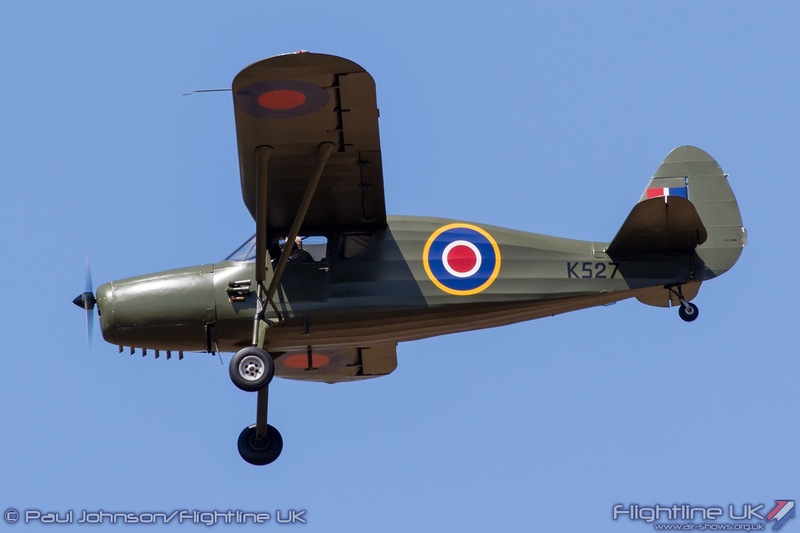 The Old Buckenham Airshow has become a firm favourite on the events calendar in East Anglia. 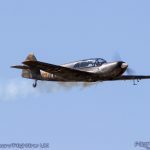 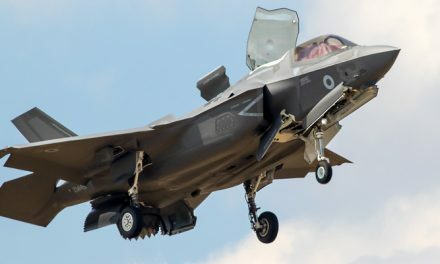 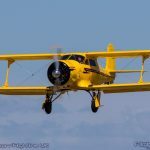 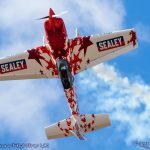 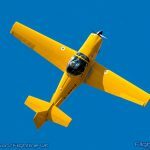 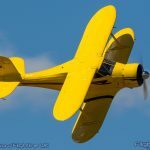 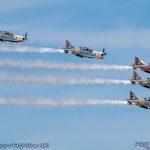 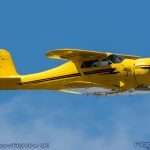 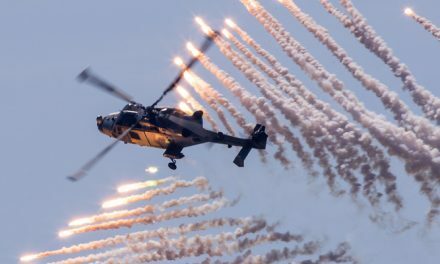 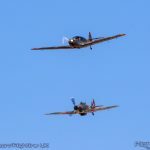 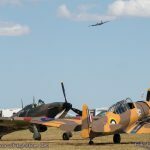 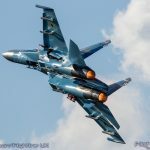 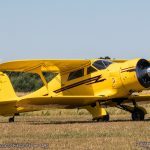 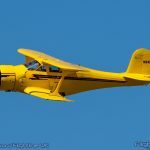 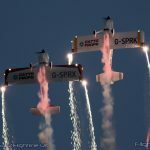 It is most of the most charming airshows on the calendar with its own unique style both in the air and on the ground. 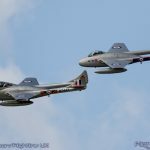 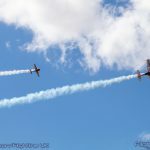 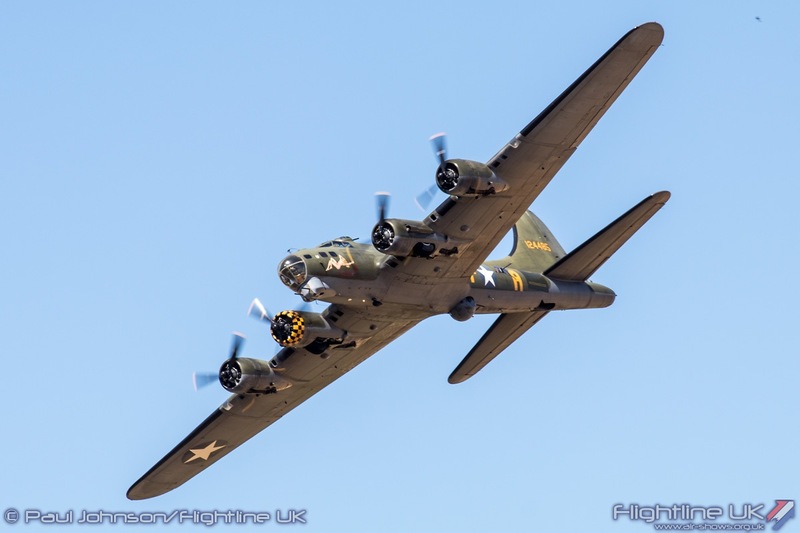 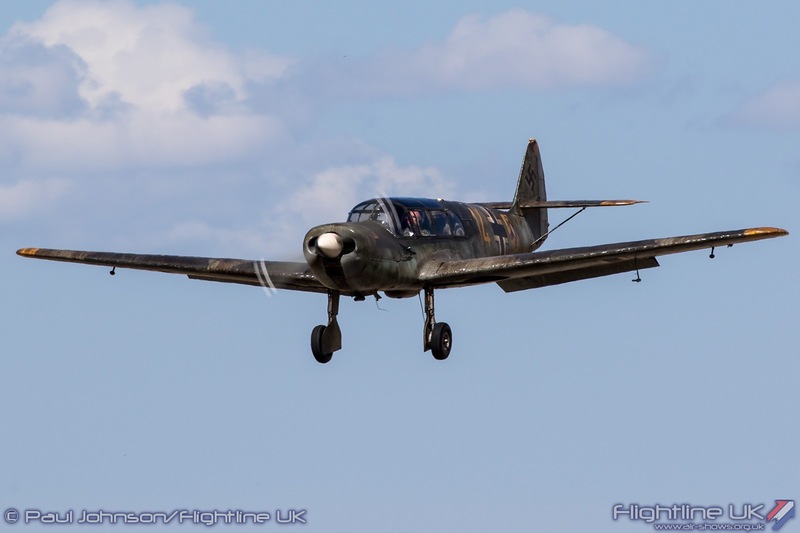 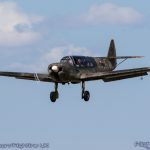 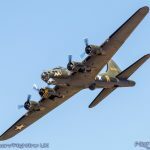 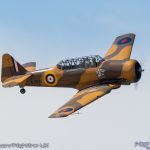 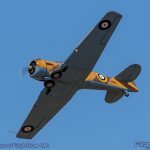 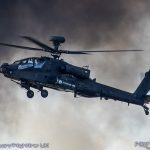 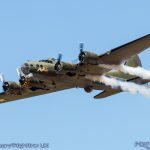 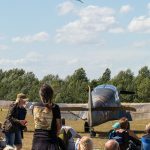 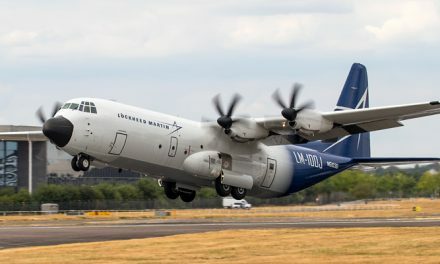 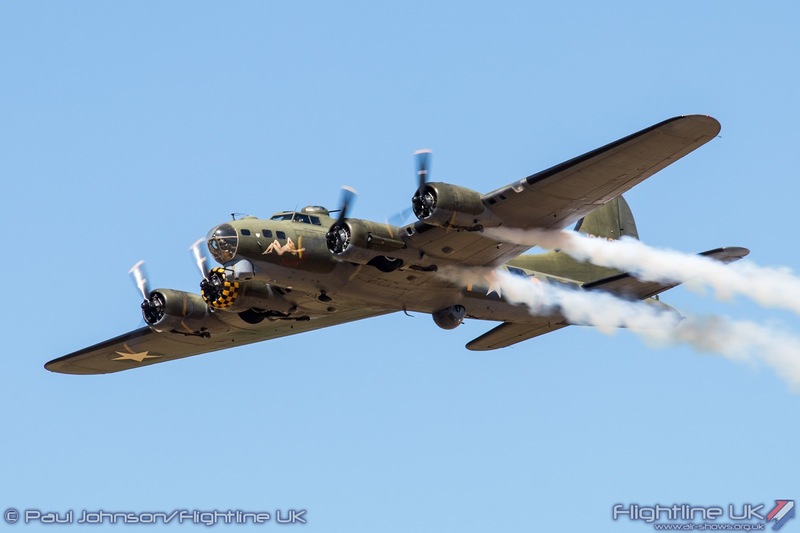 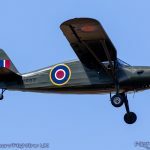 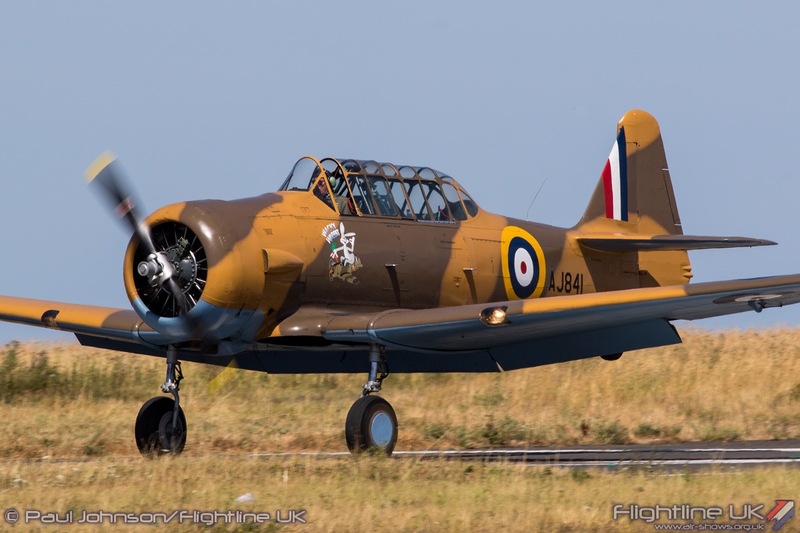 The air display is always a pleasing mix of top class civilian displays and warbirds with a particularly emphasis on United States Army Air Force heritage in respect to Old Buckenham’s history as a base for the 453rd Bombardment Group. 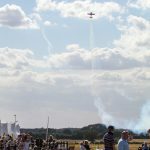 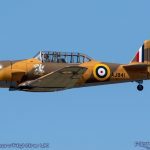 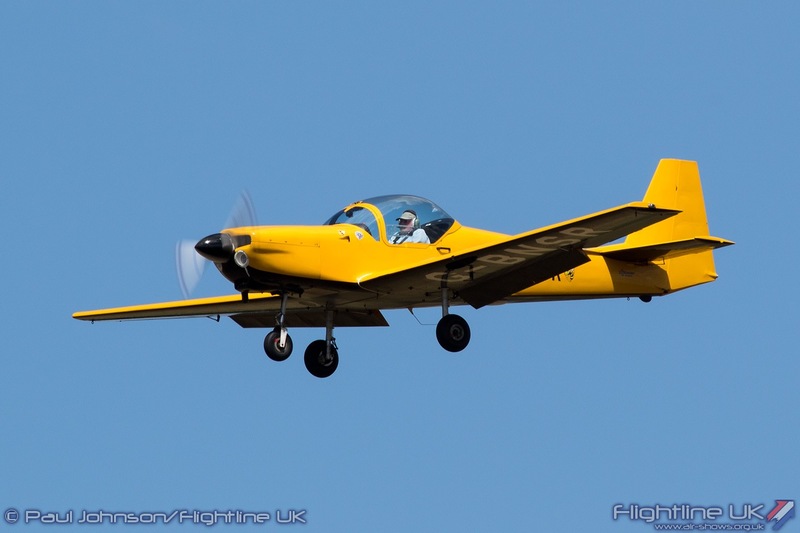 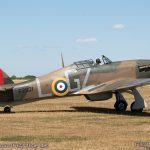 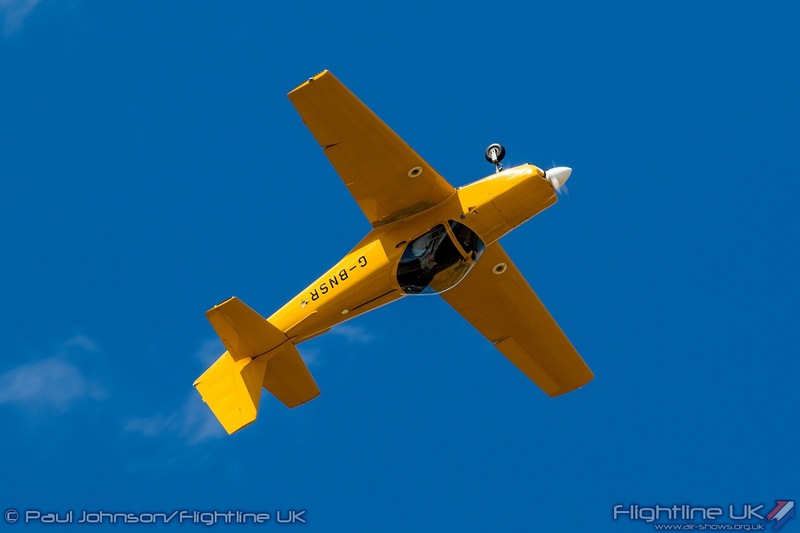 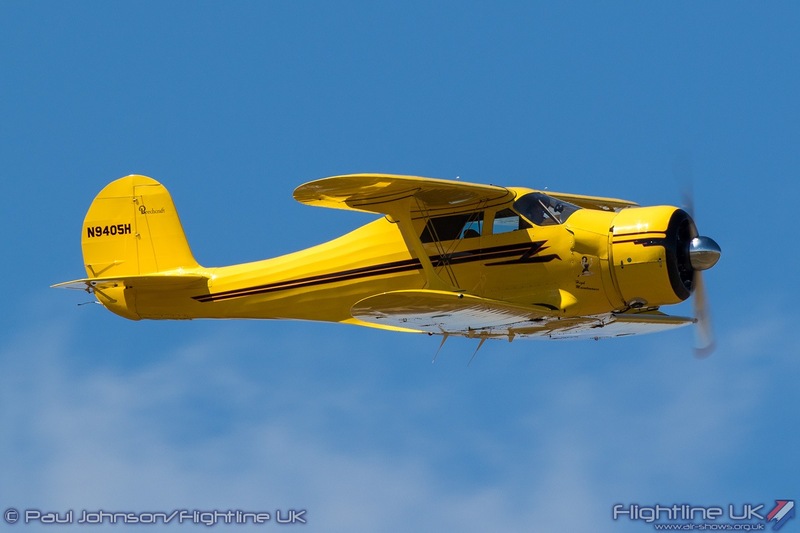 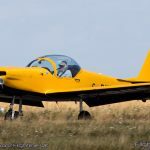 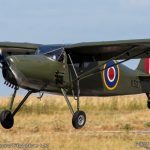 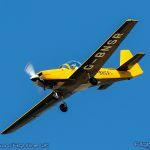 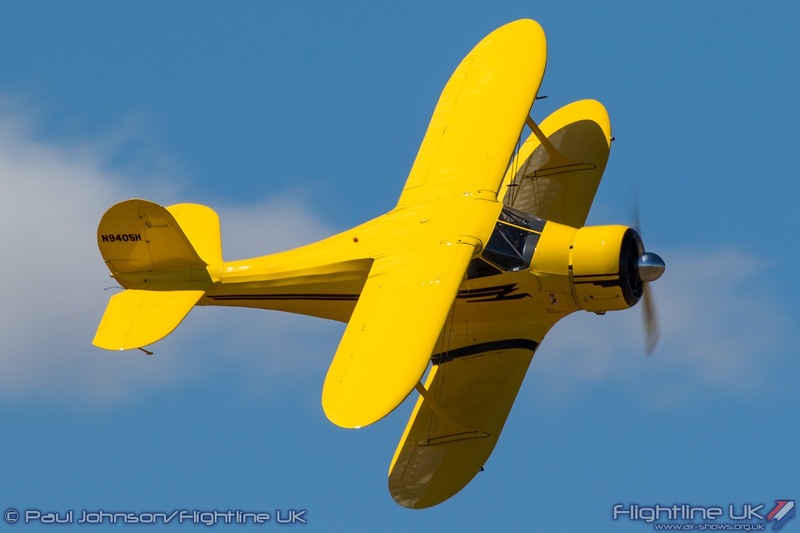 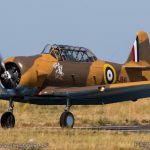 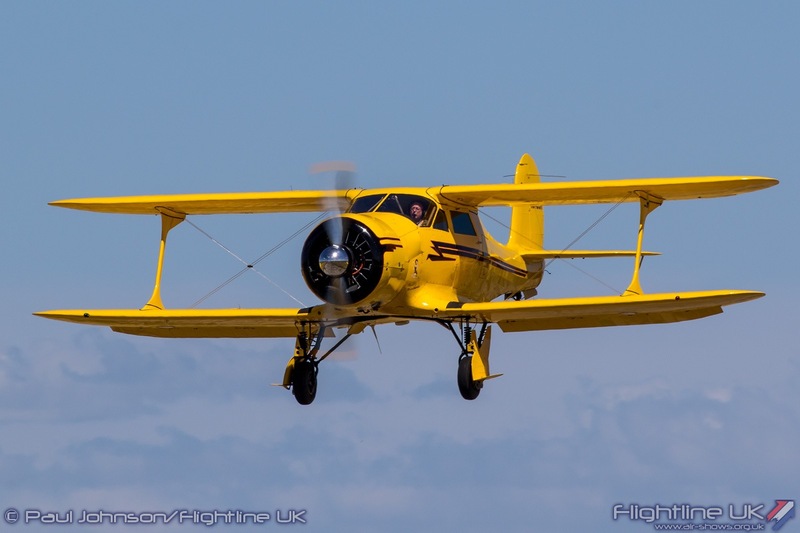 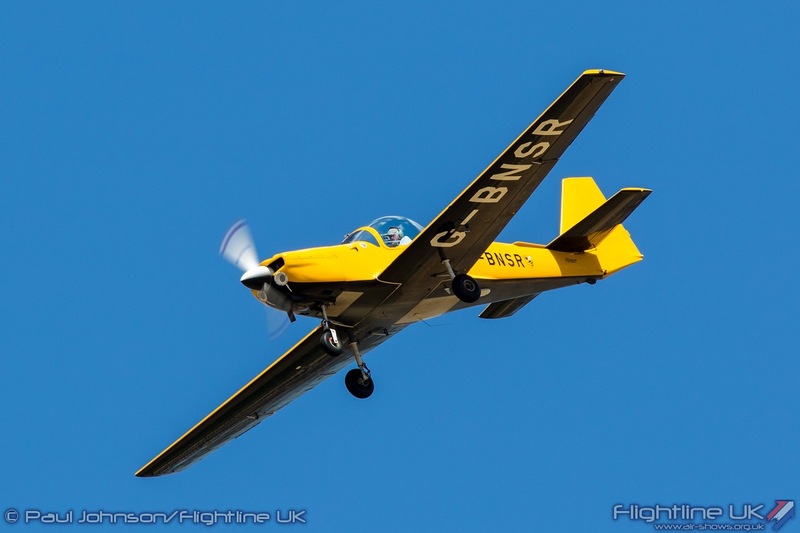 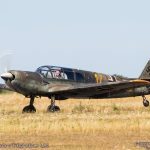 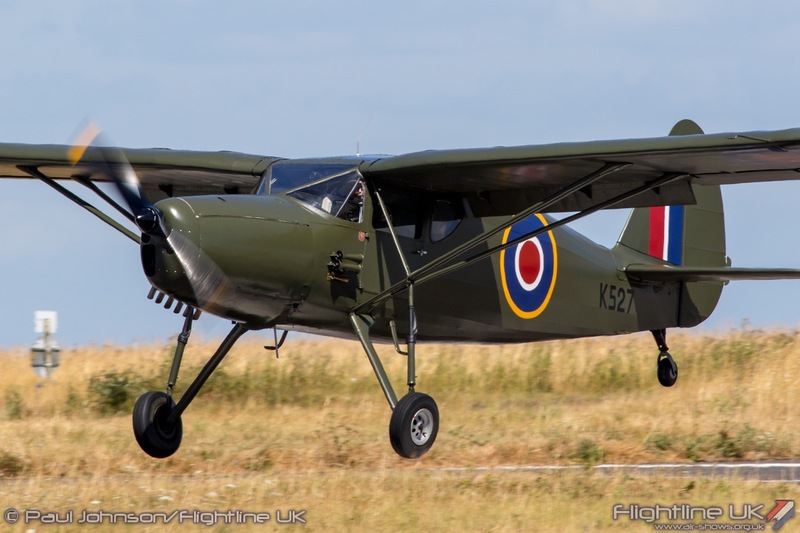 The UK heatwave came to a thunderous end in the week leading up to the Old Buckenham weekend. 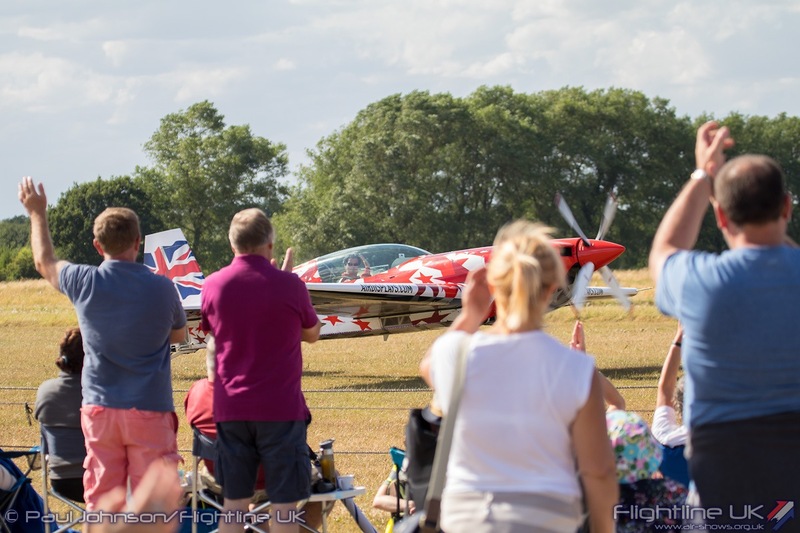 In the days before the show sunny and very warm skies were replaced by thunderstorms and torrential rain. 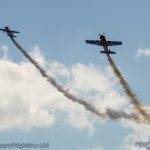 The storms signified a change in the weather for the weekend. 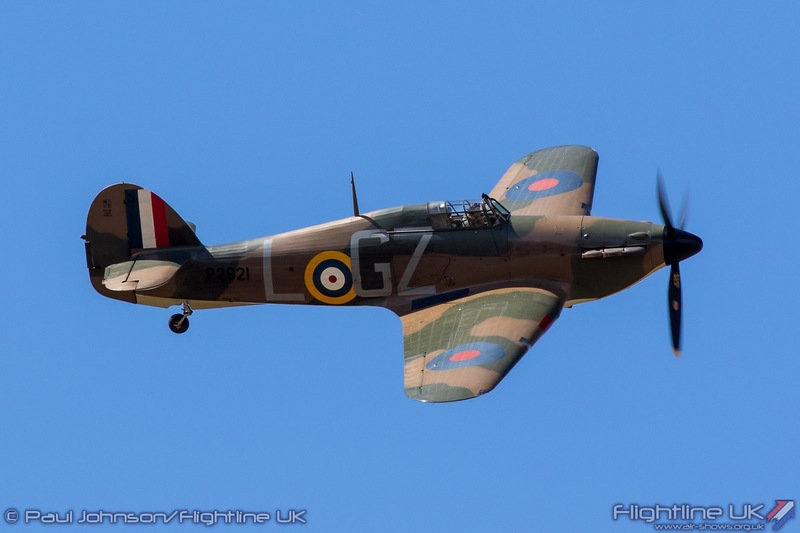 Saturday saw the best of the weather with bright blue skies but some brisk westerly winds. 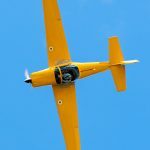 Sunday kept the winds, but also saw persistent rain throughout the day – not a good day for flying. 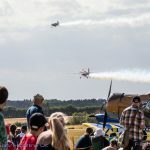 Despite this, Old Buckenham managed to put on flying displays both days with Saturday seeing a near full display while Sunday was much more limited. 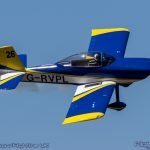 This review is based on Saturday’s display. 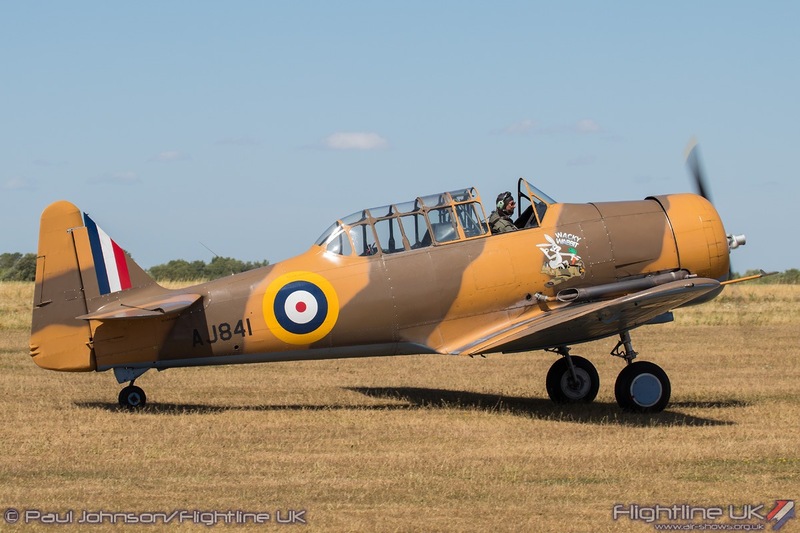 Old Buckenham is pleasingly old fashioned. 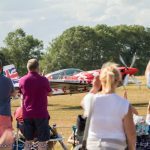 It is very much a “local show” with support coming from many Norfolk companies and traders. 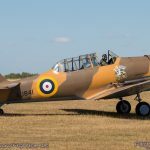 The catering at Old Buckenham is also very good. 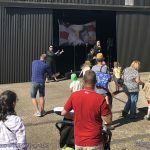 The organisers do not use a big commercial company to supply catering vans but hand-pick some very good local caterers for the show so there’s plenty of variety at good prices. 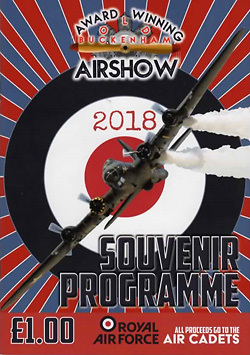 A really nice touch is the “Attack and Destroy” Bar which serves specially brewed airshow ales named after the participating acts. 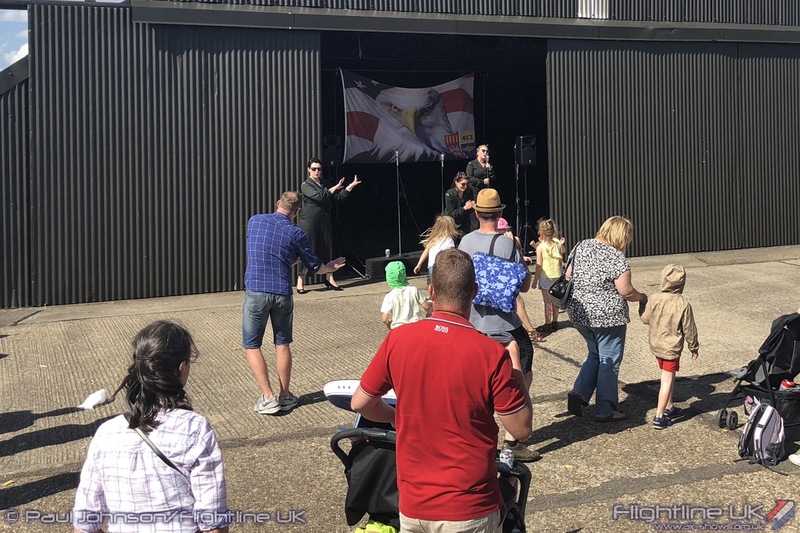 Saturday saw entertainment continue into the evening too with a Hangar Dance with local live music acts. 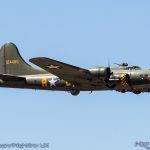 The current airfield sits at one end of what used to be the base for the 453rd Bombardment Group of the United States Army Air Force during the Second World War. 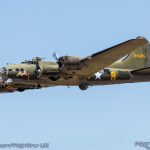 The Group consisted of four squadrons all flying the Consolidated B-24 Liberator and was station at the Norfold airfield between 1943 and 1945. 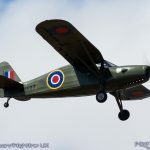 Old Buckenham is home to a museum dedicated to the 453rd and is very proud of its wartime history. 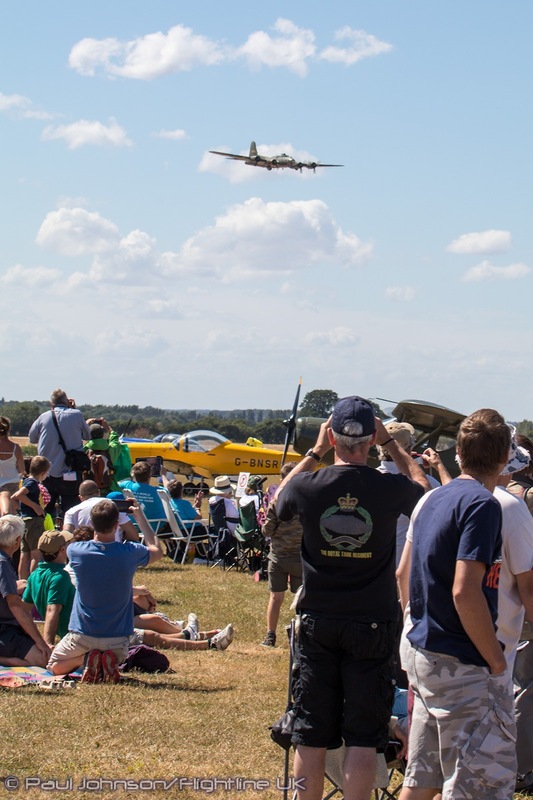 Even the airfield café is named after one of the 453rd most famous members, James ‘Jimmy’ Stewart. 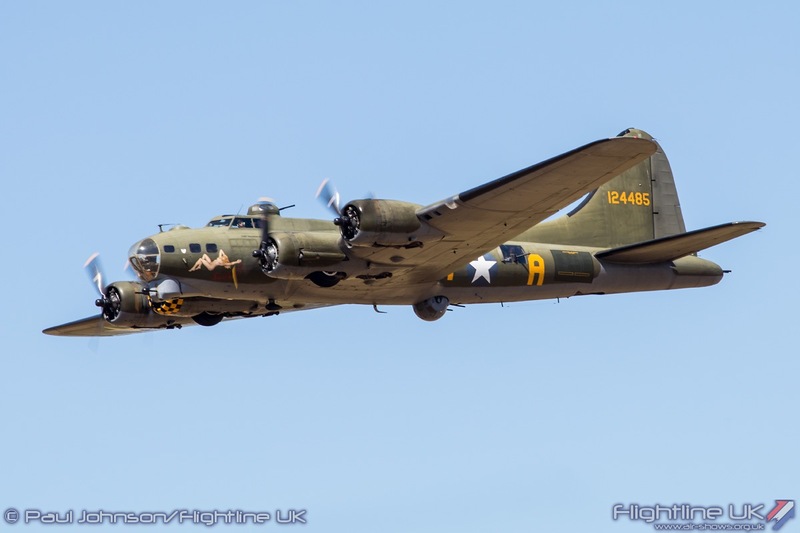 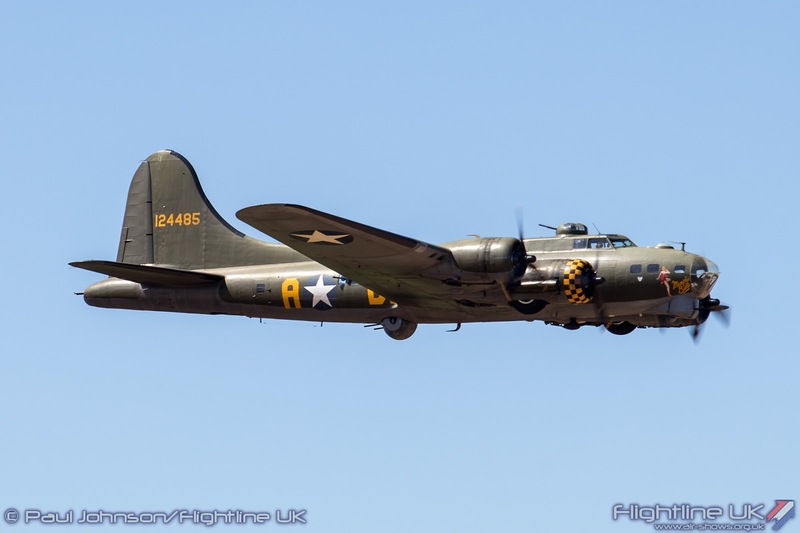 The wartime heritage of Old Buckenham was reflected in Saturday’s flying programme, most notably with an appearance by Boeing B-17G Flying Fortress Sally-B. 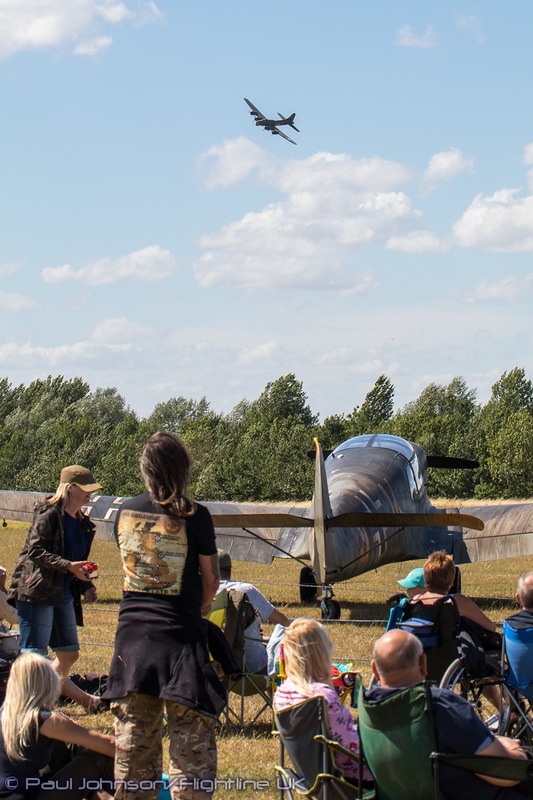 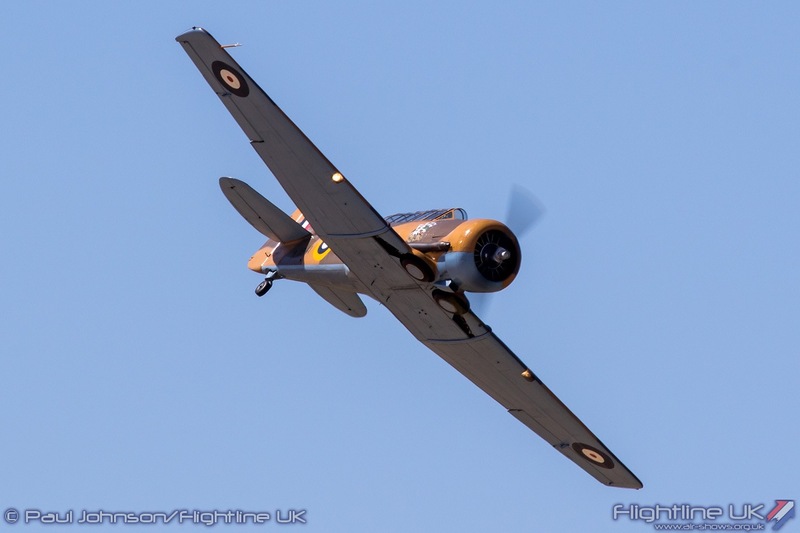 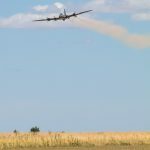 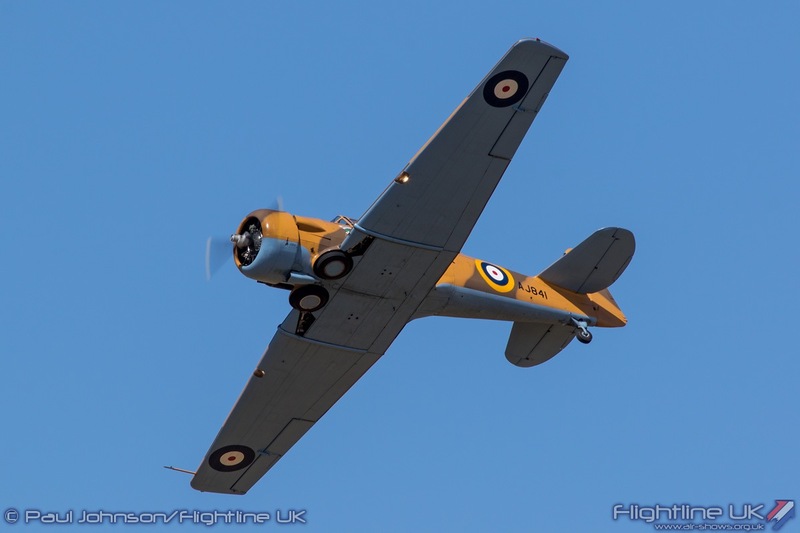 It was an extremely poignant to see Sally-B, the UK’s flying memorial to the men of the USAAF, fly over the Norfolk fields that were once home to thousands of air and ground crews supporting the air campaign over Europe. 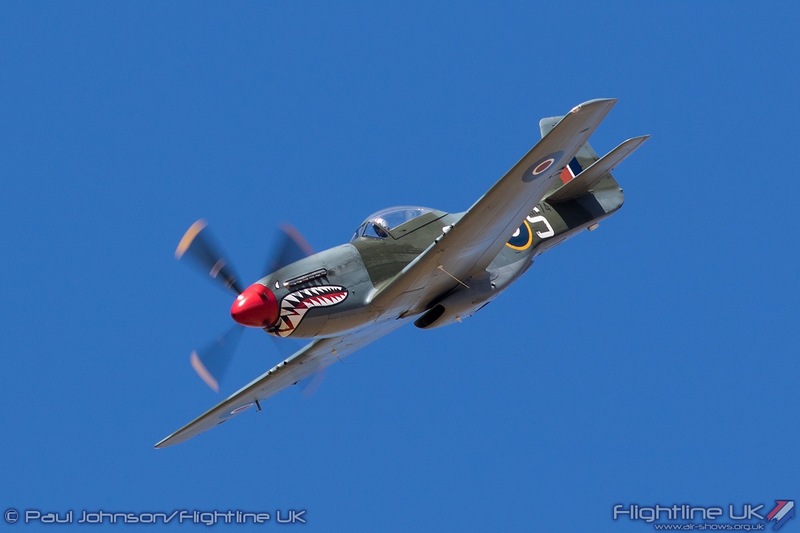 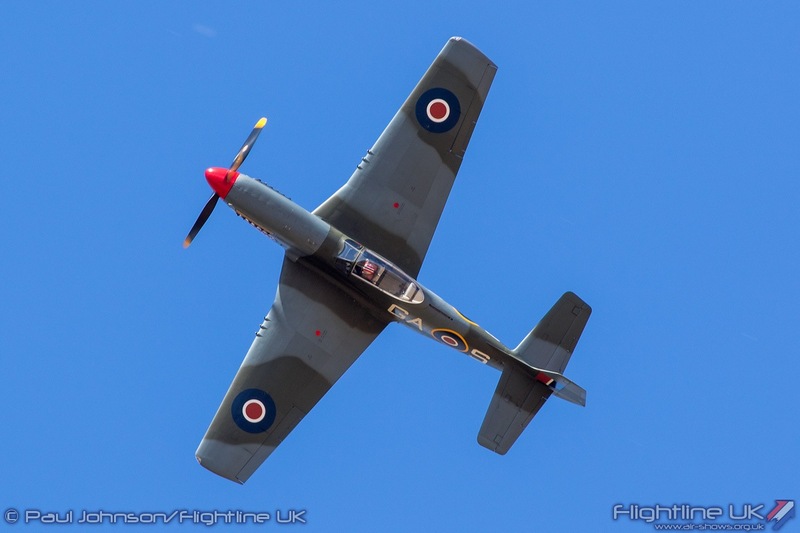 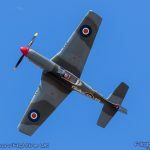 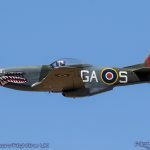 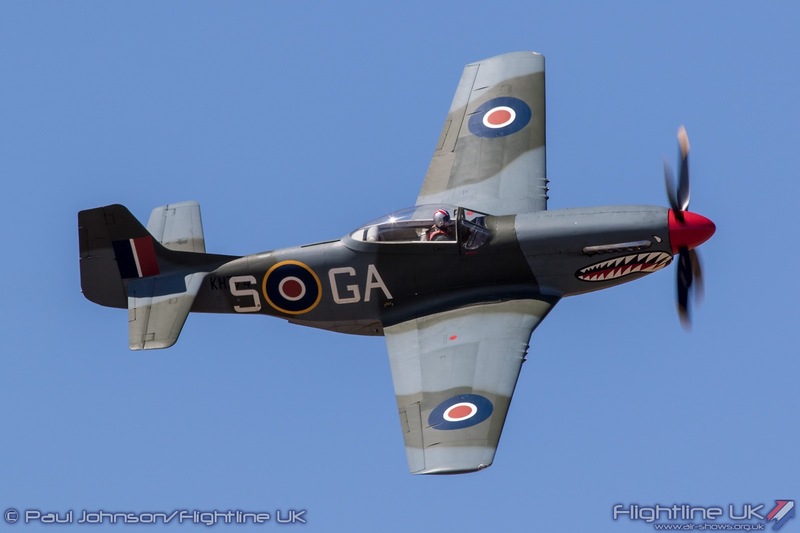 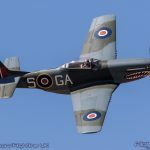 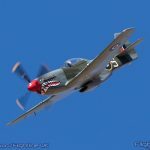 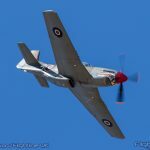 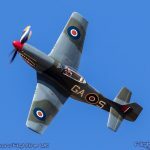 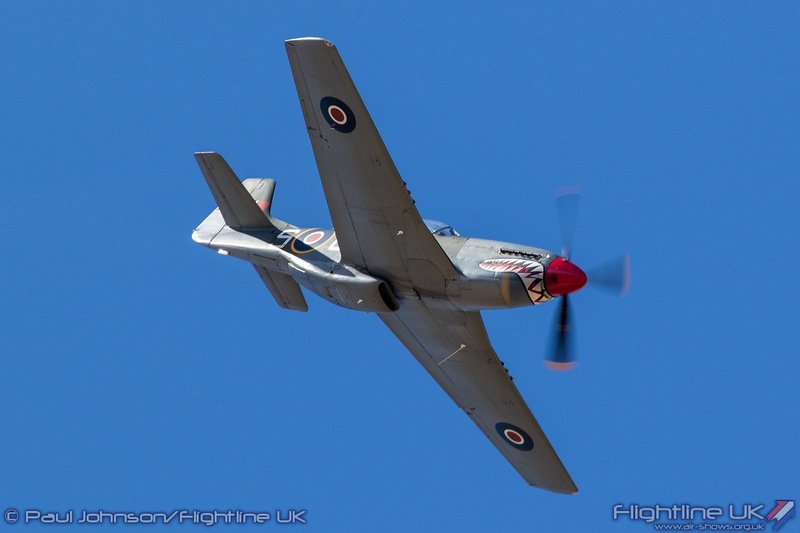 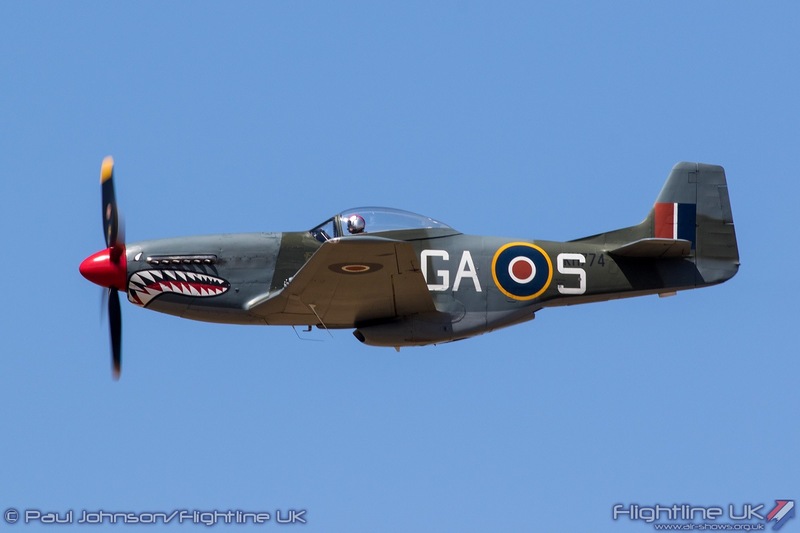 A “Little Friend” also participated in the flying in the form of the Norwegian Spitfire Foundation’s North American P-51D Mustang ‘The Shark’ flying an energetic aerobatic routine in the clear blue skies. 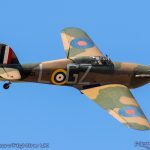 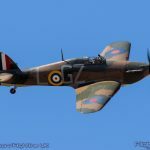 The flying display also saluted the 100th Anniversary of the Royal Air Force with a display remembering the Battle of Britain dogfights. 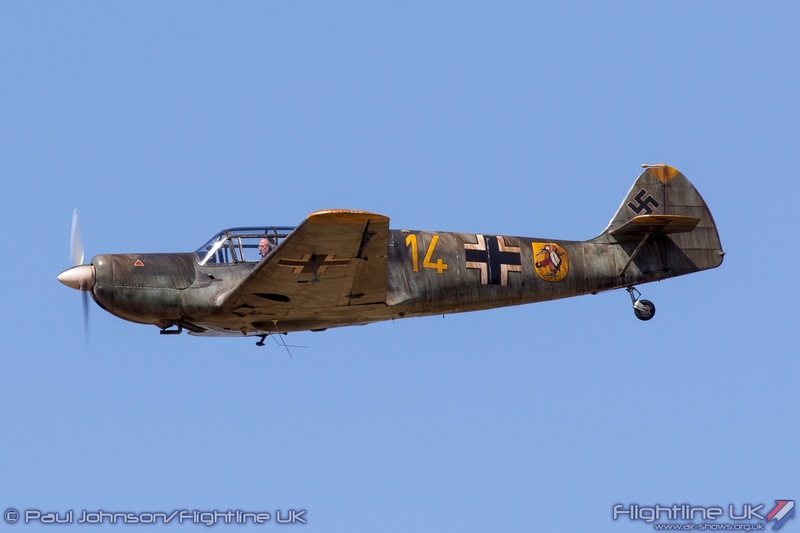 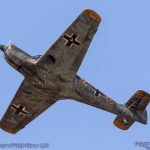 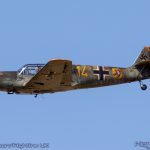 Playing the part of the enemy was Nigel Willson flying the Messerschmitt Bf108 Taifun (actually a Nord 1002) which attacked the airfield. 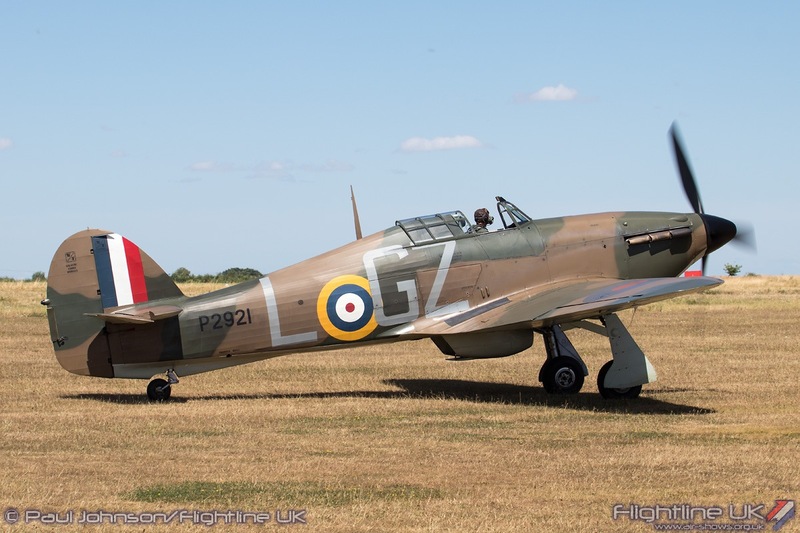 He was met with a scramble from the Biggin Hill Heritage Hangar’s Hawker Hurricane X flown by Clive Denney. 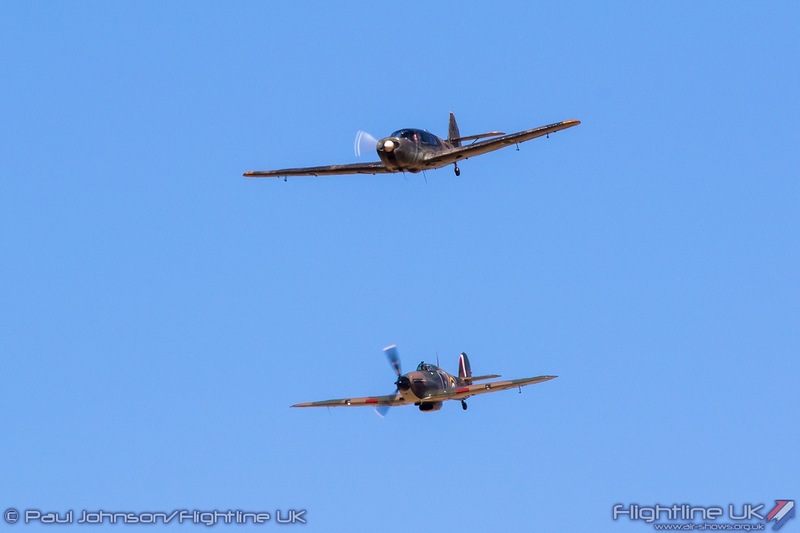 Despite the winds and the performance difference, the two gave a very convincing dogfight culminating in the Bf108 scooting off trailing white smoke! 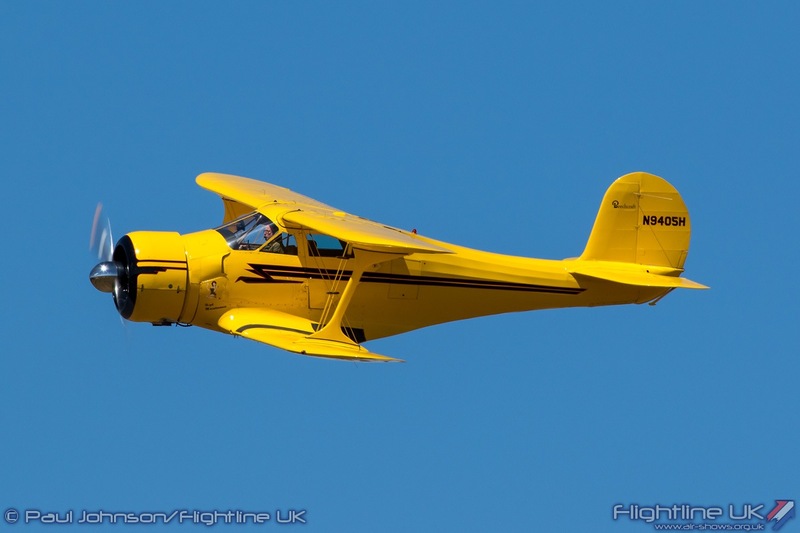 Nigel also flew a wonderful Beech D17S Staggerwing, an American luxury touring aircraft from the 1930’s. 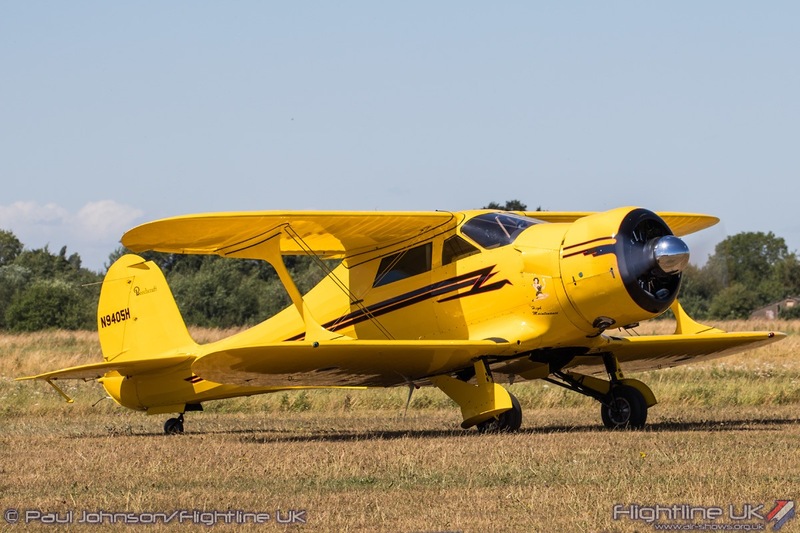 The Staggerwing is a beautiful aircraft, but also one with a fair amount of power thanks to its Wright radial engine. 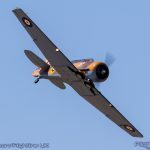 Another big American radial was to be found in the North American Harvard flown by Glenn Fricker who gave a very spirited aerobatic display in the gusty conditions. 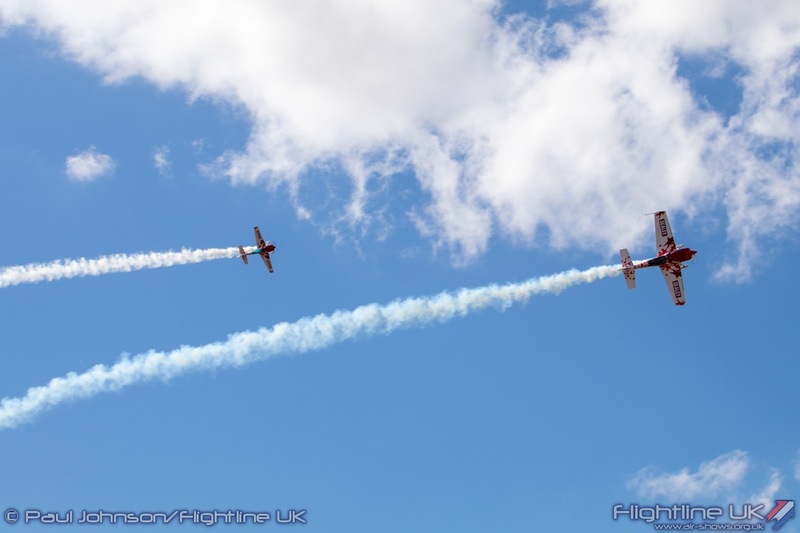 As well as the historic aircraft, there were some great aerobatics displays. 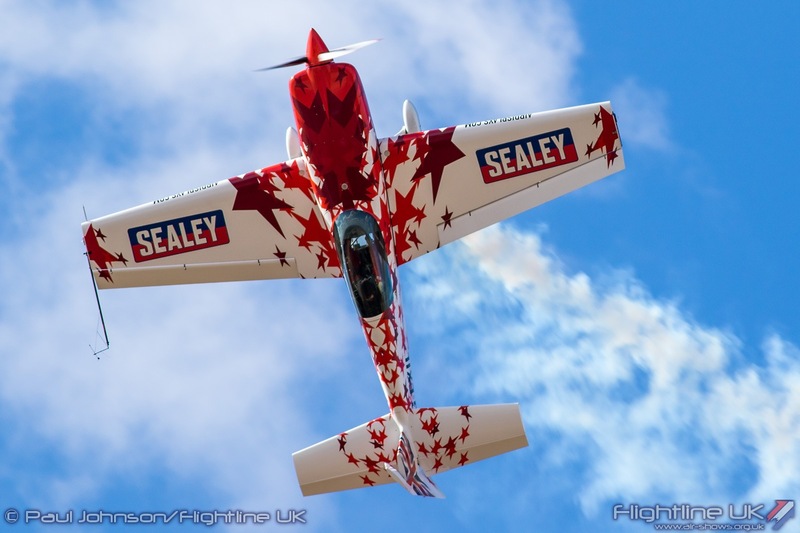 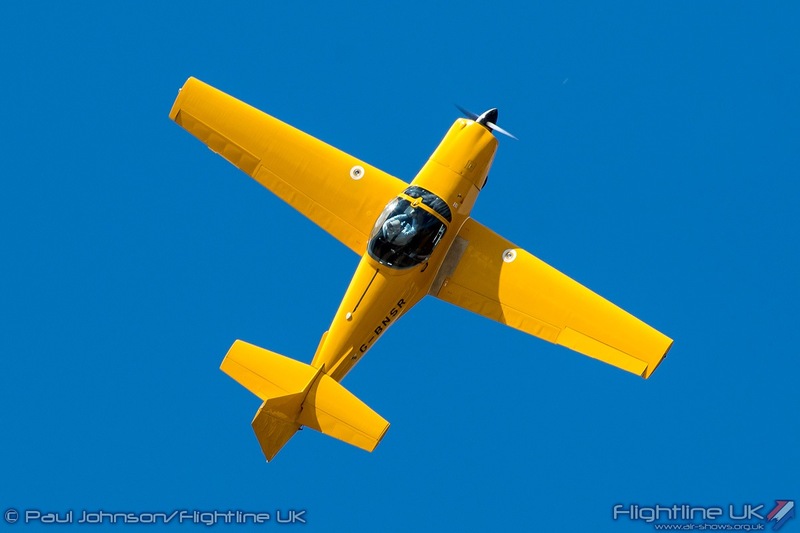 Rod Dean gave a very smooth and precise display in the Slingsby Firefly in some very testing winds to open the show. 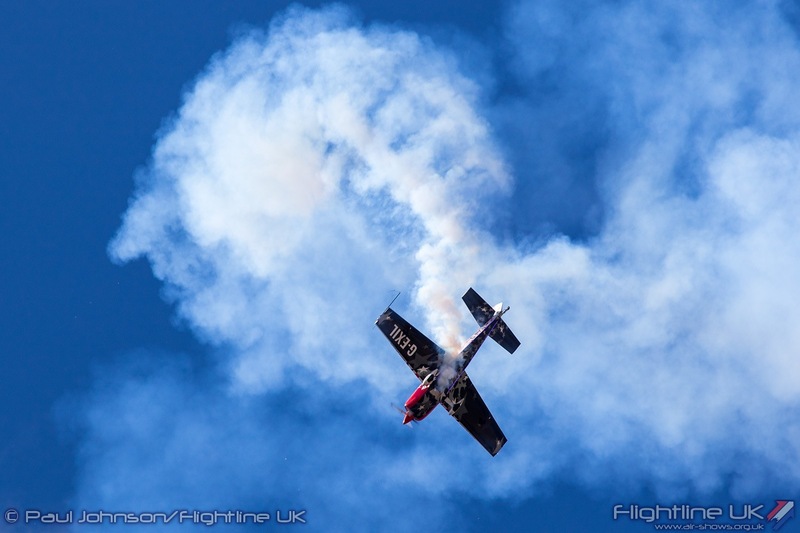 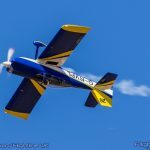 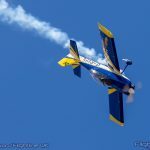 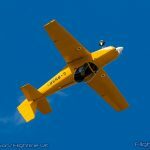 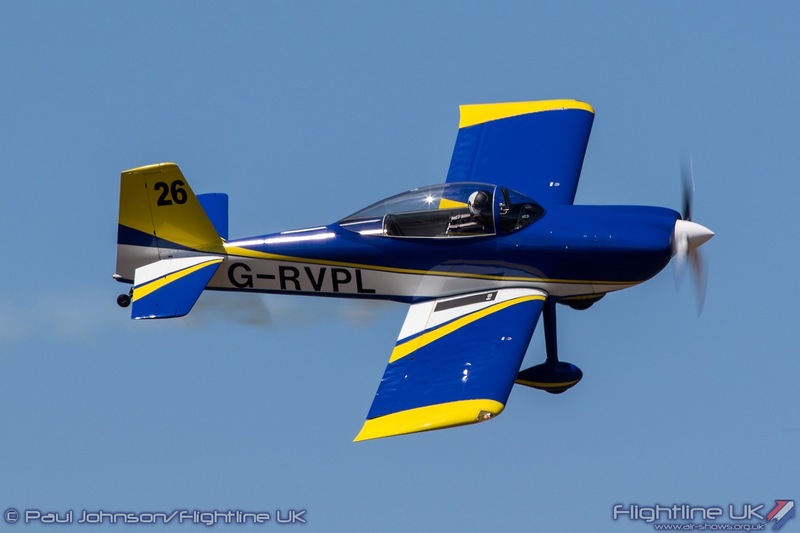 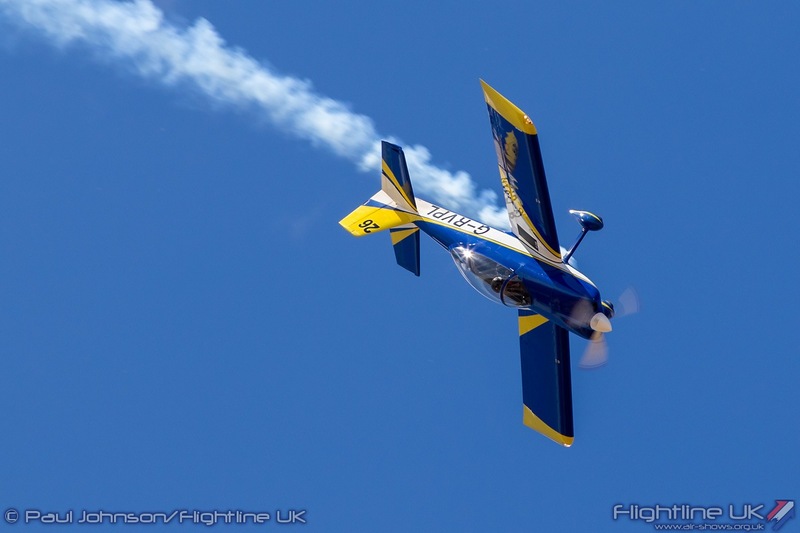 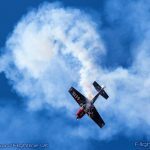 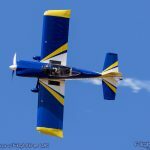 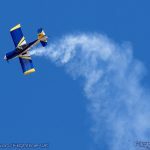 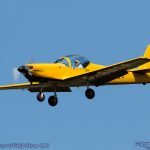 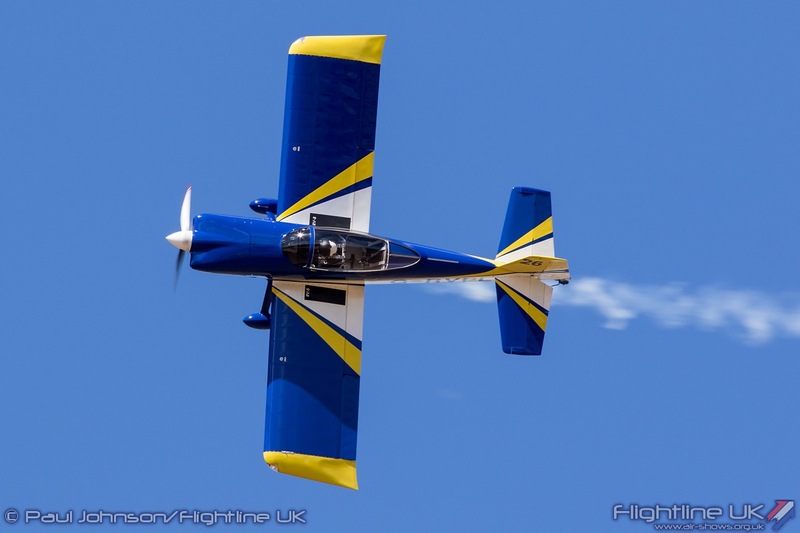 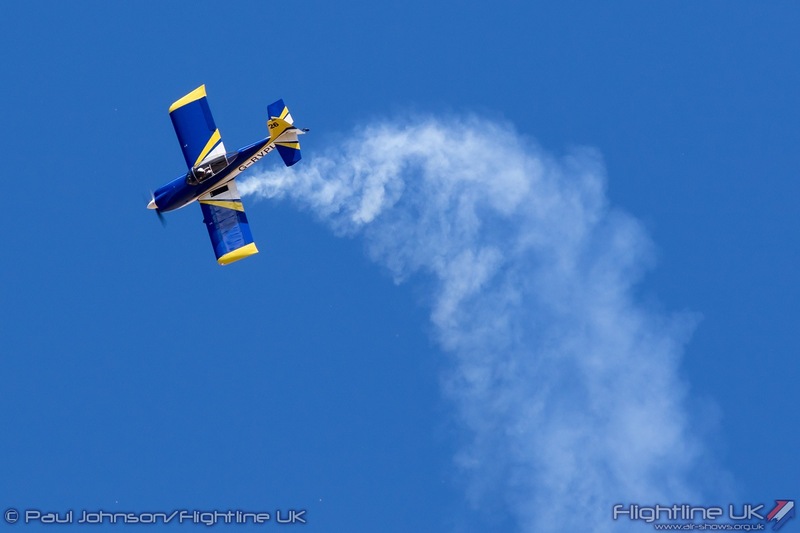 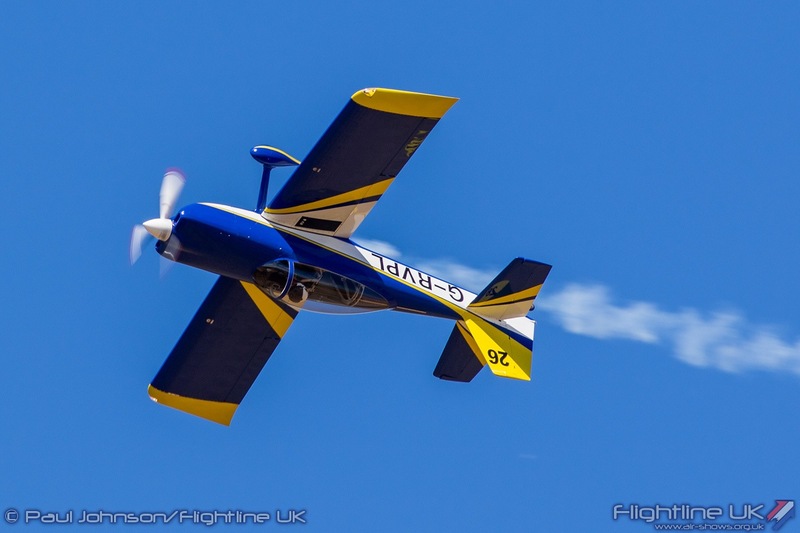 Slightly faster paced aerobatics came from local pilot Matt Summers flying his distinctive Vans RV-8 which did look glorious again the deep blue skies. 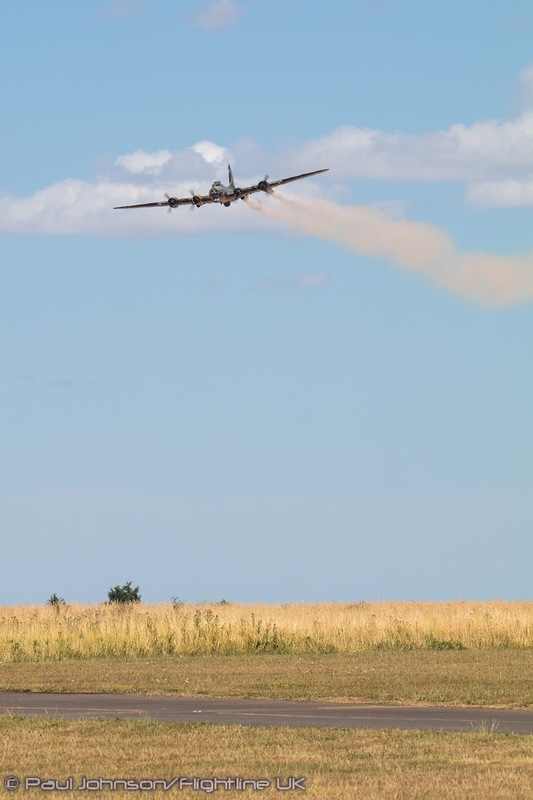 The winds did cause a short hiatus in the flying before the final act. 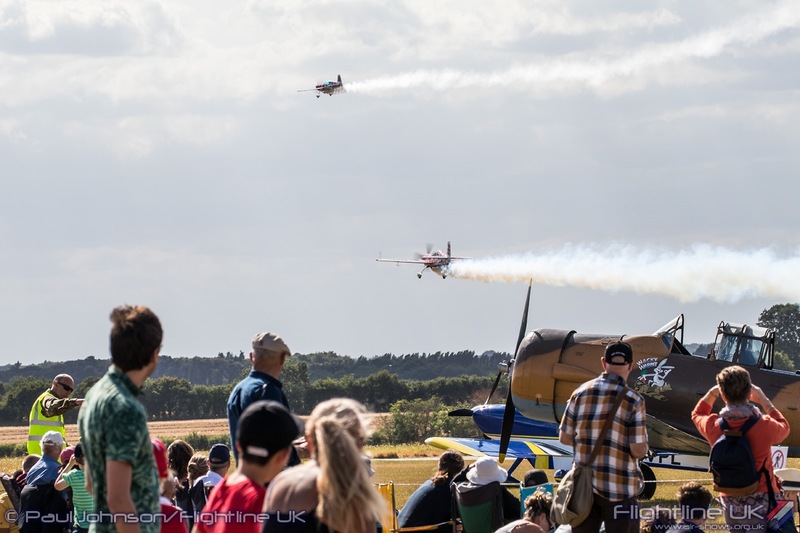 This was the incredible “Little and Large” extra duo with Chris Burkett flying the full size Extra 300S alongside Champion radio-controlled model aircraft pilot Mike Williams flying a 40% scale Extra model. 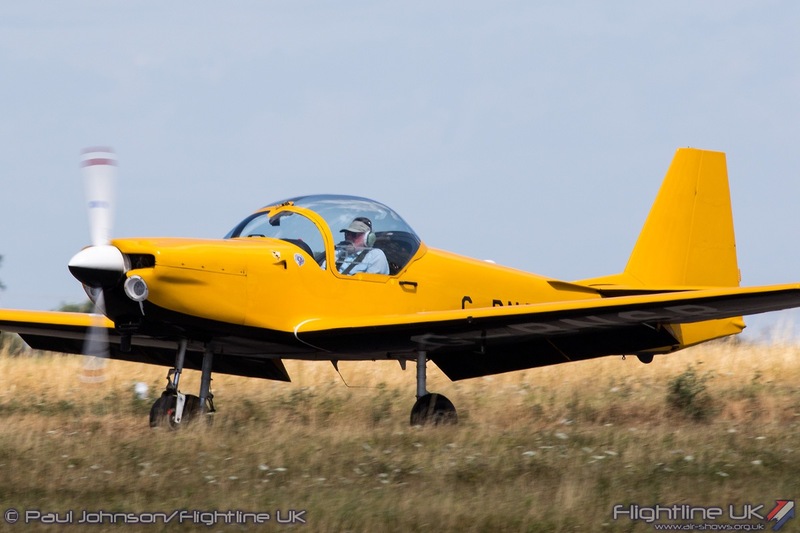 The reason for the hiatus was that Chris was also displaying with the Twister Aerobatics Team at Sunderland and needed time to transit to Old Buckenham. 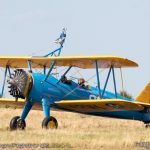 But it was worth the wait! 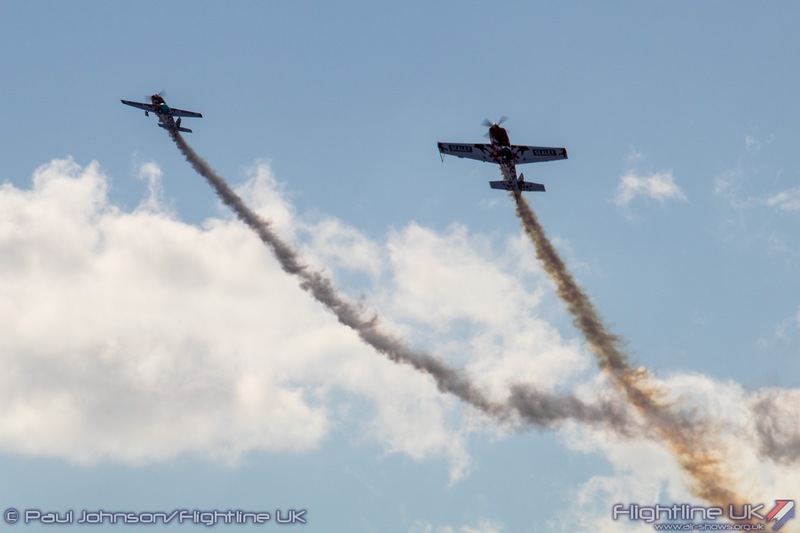 Chris and Mike always put on a superb display, but considering the wind their Old Buckenham display was just amazing and a great way to round off the day.